The purpose of separation of powers is to prevent the concentration of authority in one person or group of persons that might lead to irreparable error or abuse in its exercise to the detriment of republican institutions. The purpose was not to avoid friction, but, by means of the inevitable friction incident to the distribution of governmental powers among the three departments, to save the people from autocracy. Thus, to secure action, forestall over‐action, prevent despotism and obtain efficiency. 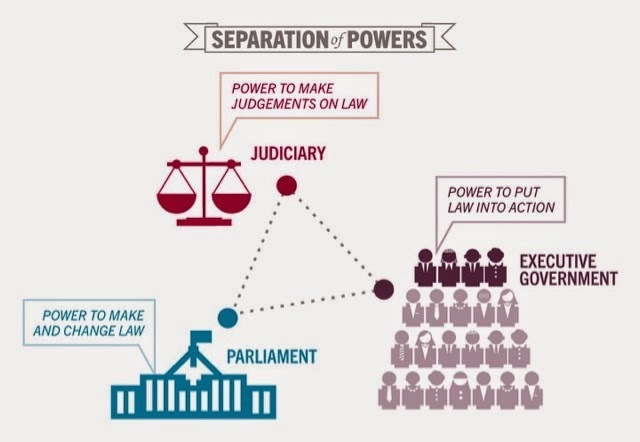 However, separation of power should not be interpreted as complete separation and absolute exclusion. They are still equal and coordinate. Equal because they derived their power from the same sovereign. Coordinate because they cannot simply ignore the acts done by the other departments as nugatory and not binding.